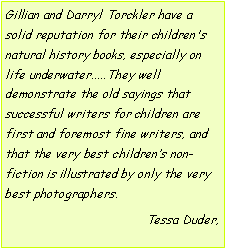 Since the publication of their first book in 1999, Gillian and Darryl Torckler have used their combined passion for the sea, and Darryl’s exquisite natural history photography & underwater photography, to introduce many readers to the hidden underwater world of New Zealand. Darryl Torckler is world renowned underwater photographer for his digital illustrative photography, split-level photography, underwater panorama photography, marine underwater photography and underwater photography. Leading to dozens of awards, including 4 first places at the prestigious British Wildlife Photographer of the Year competition. His work has featured in many magazines and books, including thirteen that he has co-authored with his wife, Gillian Whalley Torckler. Gillian Whalley Torckler has been diving and exploring the world’s oceans for over twenty years. She has always been an avid reader and wanted to write books for a long time. When she teamed up with the Darryl, they saw the perfect opportunity to begin writing. She enjoys writing a number of different styles, including children's books, natural history, gift books, medical science, technical, travel guides, fiction and non fiction books. Gillian and Darryl Torckler have close to sixty years of combined diving experience - they have dived in almost every ocean, explored the Pacific Ocean widely and swum with whales, dolphins and sharks. They live in wonderful New Zealand, close to the Pacific Ocean with their two children in a house surrounded by New Zealand native bush. They have published 14 books (so far) and are currently working on another three. Their adult non-fiction books are all beautifully illustrated photographic volumes. Their children’s books are colourful, with lively design and combine story, poetry and facts to make reading fun. On this website, you will find information about their awards, and photographs to view. Interesting background information about both Gillian and Darryl and their books is also available. 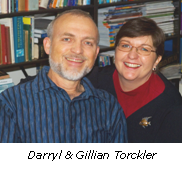 Greetings and welcome to the official website of Gillian and Darryl Torckler. 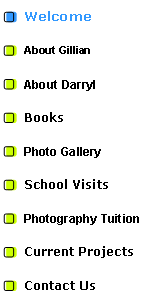 Please take a moment to look around we have books for everyone in your family great photos to view information about us information about school visits private photography tuition how to buy limited edition photographic art and some fun activities for kids. We are committed to improving this website, so please let us know what you like and don’t like and what we have forgotten to include. Most of all, enjoy your visit!